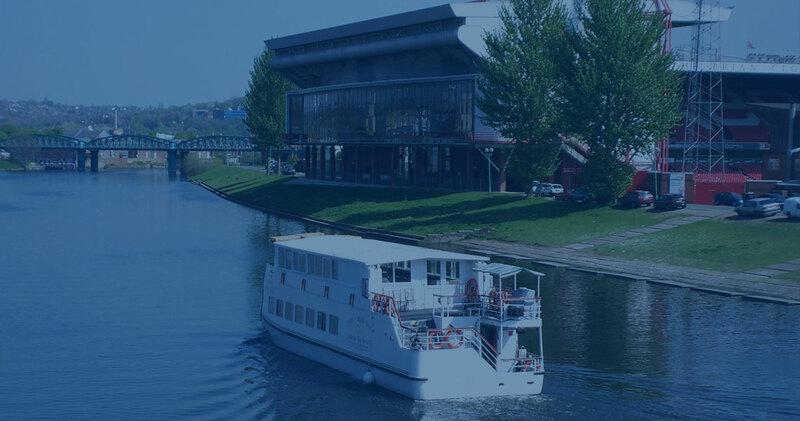 After 20 years of operation Princess River Cruises on the River Trent in Nottingham have a stunning brand new home. The beautiful River lodge on 100 Racecourse Road in Colwick boasts free parking, South facing terrace, reception room and bar as well as disabled WC facilities. The Nottingham Princess and Prince have both been treated to brand new floating moorings and we hope to enhance our valued customers river cruise experience with all of our new facilities. We would be pleased to welcome you into the River lodge for a pre-cruise drink or even better, why not try our Grill night select evenings in the River lodge. Our new home is nestled in a stunning tranquil countryside location and we are confident that you will enjoy it just as much as we enjoyed creating it for your pleasure. If you would like any further information on the River Lodge or any of our daytime or evening cruise packages, please phone us on 0115 9100401 whereby it would be our pleasure to discuss your personal requirements in further detail.